IOWA FALLS — Tyler Olson will never doubt the power of the shirt. 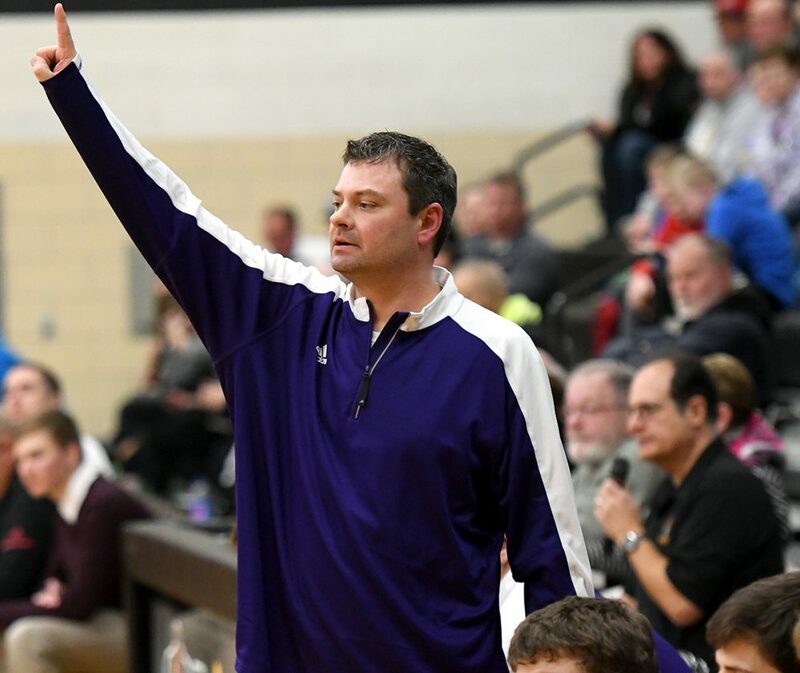 In his case, it’s a long-sleeved shirt — white or purple depending on the game’s location — that he adorns underneath his basketball jersey. It may look a bit unusual, but with results like this who’s to argue? 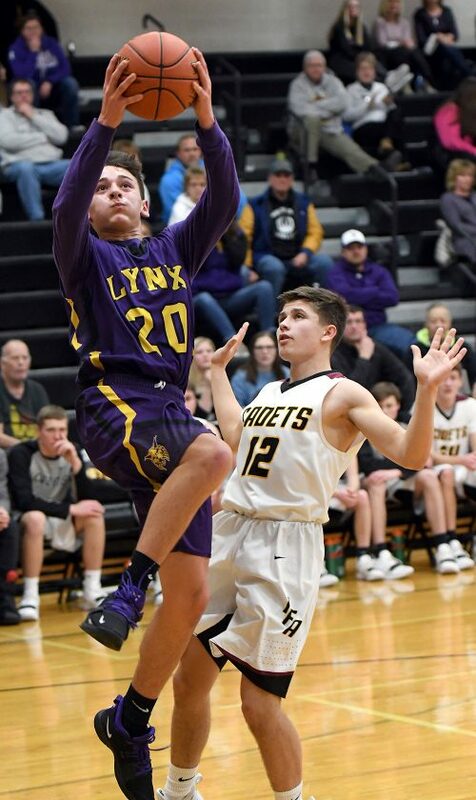 Since adopting the new look a week ago, Olson has nearly doubled his scoring output and the surge continued on Friday as the Webster City sophomore ripped Iowa Falls-Alden for 17 points, eight rebounds, three steals and three assists in a 58-43 Lynx victory. WCHS head coach Marty McKinney was quietly laughing nearby. But, hey, whatever works. Perhaps there’s some truth to what Olson says. He averaged seven points per game pre-shirt. And since? A tidy 13 a night. It was actually a three-man WCHS offensive wrecking crew that disposed of the Cadets. 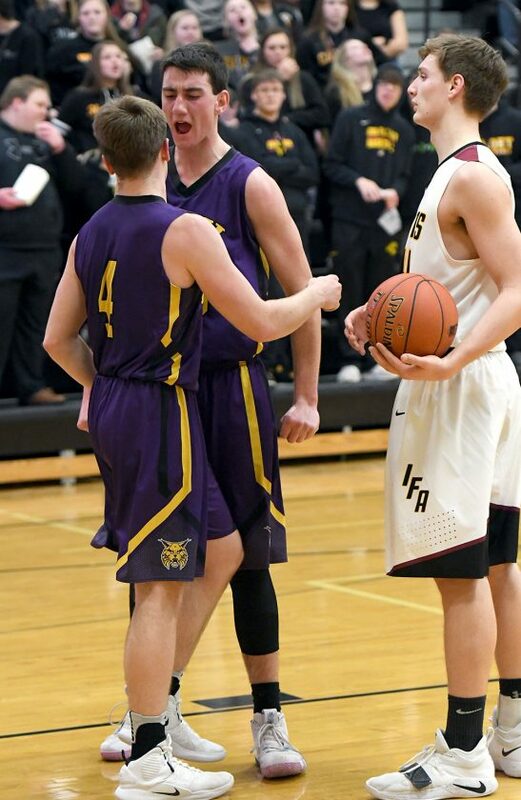 Olson, Henry Hoversten and Dylan Steen combined for 53 and were the catalysts of a 21-11 fourth-quarter surge that put the game out of reach. Hoversten went off for a double-double — 19 points and 11 rebounds — and Steen sprinkled in 17 points, including nine in succession in the decisive fourth-quarter run. 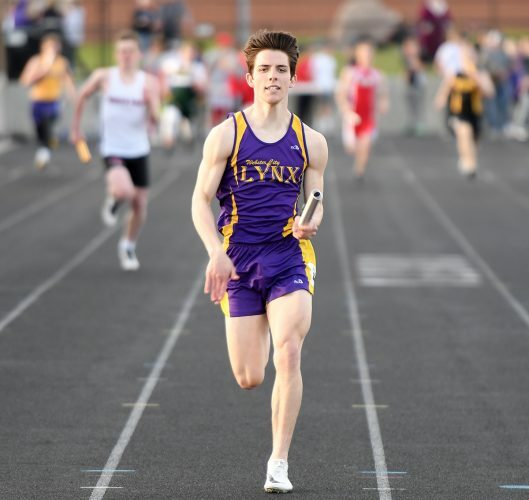 Drake Doering supplied the Lynx other five points. But, once again, it was the job WCHS did at the defensive end that McKinney found most satisfying. 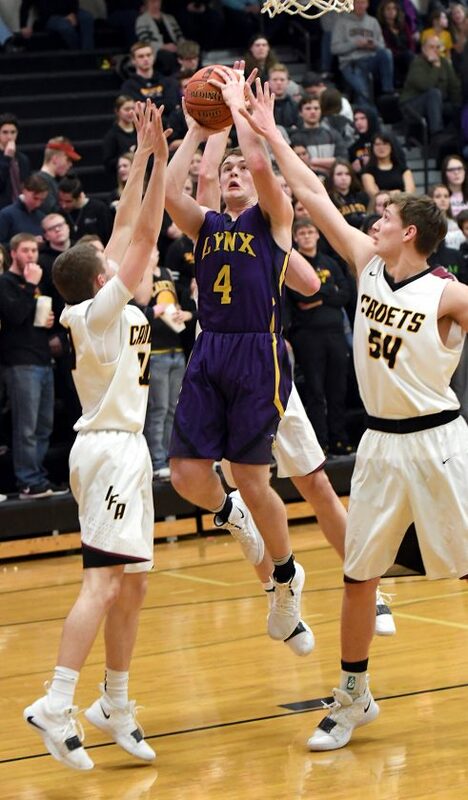 IF-A sophomore and Division I prospect Karson Sharar returned from injury a week ago and the Lynx knew they would have their hands full with the new-look Cadets. Sharar poured in a game-high 20 points, but he needed 20 shots to get there with Steen hounding him all over the floor. WCHS limited Logan Aldinger, who averages better than 16 points per game, to just three on a late 3-pointer. McKinney orchestrated the defensive game plan, and the players delivered. Just like they have almost every night over the past month. 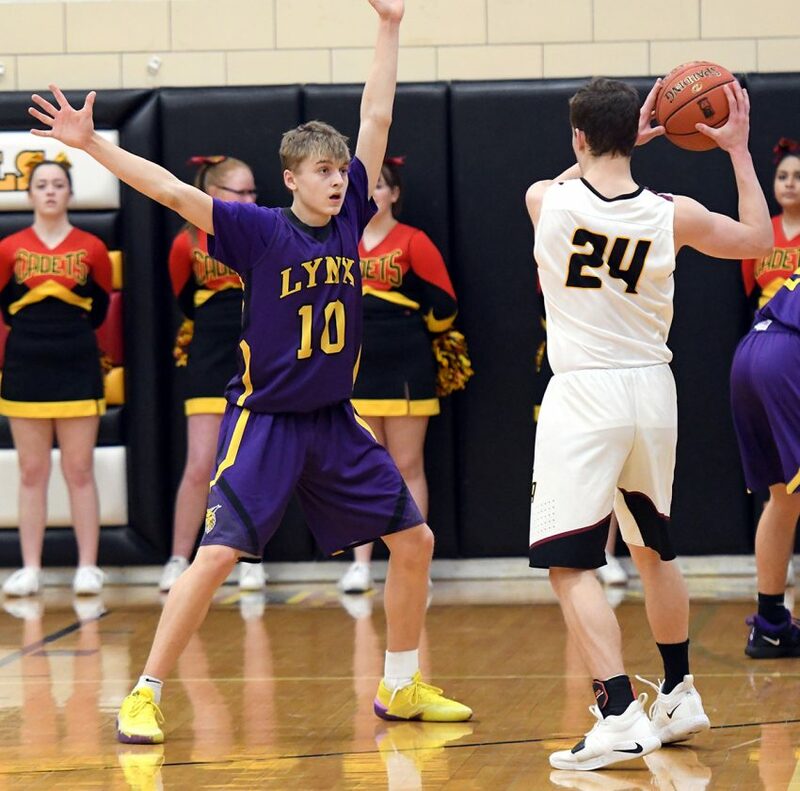 A 7-0 run highlighted by an Olson runner in the lane and Hoversten’s second 3 from the top of the key in the closing minutes of the second quarter turned the tide in the Lynx favor for good. It allowed them to take a 26-22 lead into the break and they never trailed again. The advantage grew to eight on two occasions in the third quarter on Hoversten buckets. IF-A closed to within 37-35 with 7:45 remaining, but WCHS answered with eight straight points, six of them by Steen. He added a 3-point play on a nice feed from Doering to push the margin to 10 at the midpoint of the final period. “We passed the ball much better in the second half, especially late in the game,” McKinney said. WCHS shot 49 percent (23 of 47) overall. IF-A made 17 shots, nine of which were 3s. The Lynx will return home for games against St. Edmond and Humboldt on Monday and Tuesday. 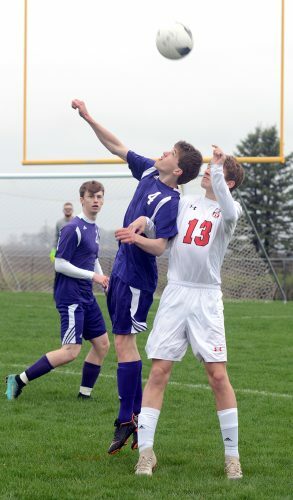 Webster City (11-6, 8-3 NCC) — Dylan Steen 7 3-4 17, Drake Doering 1 2-3 5, Nathan Ferrell 0 0-0 0, Tavis Eklund 0 0-0 0, Tyler Olson 8 0-2 17, Carter Neuroth 0 0-0 0, Henry Hoversten 7 3-3 19. Totals: 23 8-12 58. 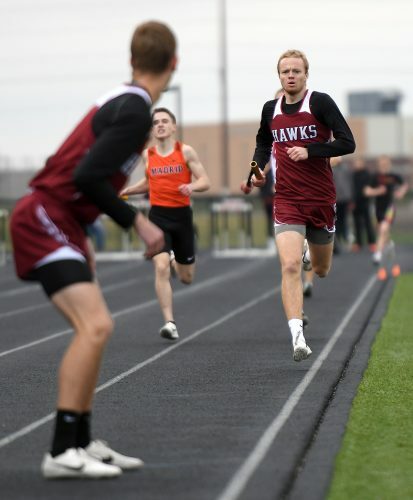 IF-Alden (5-9, 3-7 NCC) — RJ Ford 0 0-0 0, Brody Steinfeldt 0 0-0 0, Karson Sharar 8 0-2 20, Luke Haverkamp 3 0-0 7, Logan Aldinger 1 0-0 3, Garret Renaud 0 0-0 0, Caden Mentzer 4 0-0 11, Austin Stockdale 0 0-0 0, Kyle Arends 0 0-0 0, Tim Long 1 0-2 2. Totals: 17 0-4 43. 3-point field goals — WC 4 (Hoversten 2, Olson, Doering); IF-A 9 (Sharar 4, Mentzer 3, Haverkamp, Aldinger). 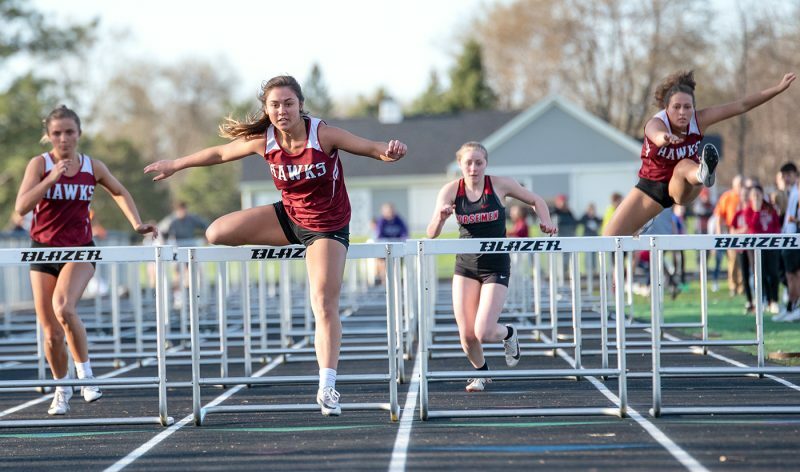 Rebounds — WC 29 (Hoversten 11, Olson 8). Steals — WC 8 (Olson 3). Assists — WC 10 (Olson 3). Turnovers — WC 9. Team fouls — WC 10, IF-A 12. Fouled out — none.